Here at WA Holiday Guide we are proud of what we do. This is because we take pride in our work, we value each and every person who books on our website and our goal is for every customer to be highly satisfied with their booking and to be happy they chose waholidayguide.com.au to book their accommodation, car hire or tours in Western Australia. Here are our favourite comments. Thanks so much! Now we have booked with you we really look forward to our holiday in Perth! Thanks WA Holiday Guide for the options for our accommodation in Fremantle, you are legends! I have benefited from your input for our Fremantle stay, so thank you very much. Thank you to WA Holiday Guide once again for all the time you spent assisting us with the Perth City car hire and information on accommodation! Thank you so much for your call and your email. I really appreciate the effort you've gone to! Thanks again, great service! Thanks for the very prompt reply. Now that we have fixed the rental for our holidays its taken some load of my shoulders. Many thanks again. To waholidayguide.com.au I truly appreciate your help. Thanks also for the links for Margaret River accommodation. G'day mate! To the WA Holiday Guide Team, thank you for your help, it was very much appreciated and your service was second to none which is rare these days. - Trevor from Australia You've already gone more than the extra mile with us and we can clearly feel your passion and love not only for your country and city but the pride that you take in your work! Thank you for all your work on the rental quote and the insurance tip. Excellent service and I will pass on the site details to others planning a WA trip. Regards & Best Wishes. - Terry from Sydney Thanks again for your input and great assistance. I should nominate you for an award or something! We felt very comfortable in your very capable hands and had complete confidence in your proven abilities. Thank you so much for your efficient assistance - you made booking our hire cars so easy! Thanks for all you've done. Will definitely use your services next time we need a car. - Kent from Perth You have been a terrific help once again. I appreciate your time and effort. Thank you for your awesome service and prompt responses. 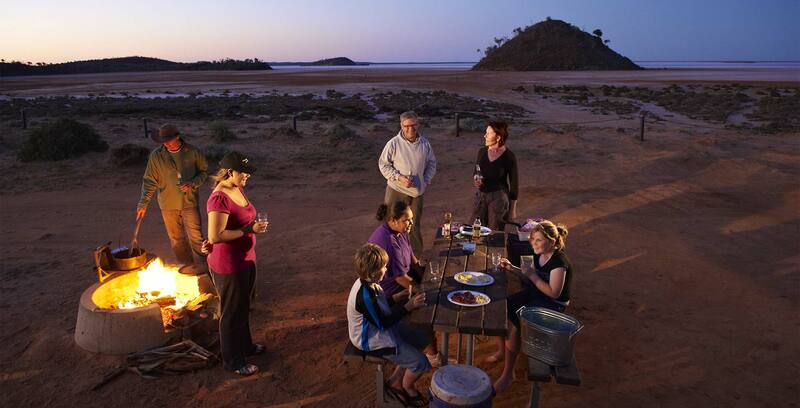 We would just like to say thank you for your help with our Kalbarri accommodation! We really enjoyed it and hopefully will be going again! Thank you for your assistance and understanding your service has been second to none. - Sue from Perth Thanks for the speedy and reassuring reply. As always, I'm really impressed with WA Holiday Guide's level of help. Great service you provide. It's the second time I've emailed you and you've got back to me really quickly both times. Thanks again for all of your help. Thank you for all your help. This is an awesome service. Thank you! Just wanted to thank you for all your info and help with finding and booking our accommodation for our holiday. Have just returned and everything was fantastic. Great property, location, weather. So thanks again and all the best. - Sandi from Sydney Just wanted to say what an absolute pleasure it was to use your service with is nothing short of excellent at dealing with customers, addressing issues as they arise and thinking ahead. As a family of five we need to rely heavily on recommendations and pricing from services with which we had no prior experience. This can be daunting and a bit of a leap of faith. You helped us immensely. My huge thanks for an excellent service. That little cottage was a cancellation so there was possibly a very small window of us getting it therefore we were soooooooo lucky. The main luck being your excellence in customer service, so thank you again for your assistance. WA Holiday Guide spent a great deal of time to find us last minute accommodation in or near Rockingham. As it was extremely busy during the school holidays they was able to find us something in the next town. We can not thank them enough for all their efforts. They were determined to find us something, they were friendly, provided us with excellent information and advice. They saved us time by doing the searching for us. We believe they went above and beyond to help us. Thank you WA Holiday Guide we really appreciate your assistance. We will definitely contact you in future for accommodation advice. Your website is very informative and helpful. Much better than the other sites we have looked at like booking.com, etc. What an amazing service you provide! Your advice has already saved us money and made our planning so much easier. Thank you!! Will highly recommend anybody planning a trip out to WA to get in contact with you. Thank you so much for all of the assistance you gave us. You made everything fall into place without any hassles. We live in an over 55’s village, so we will certainly recommend your company to any of our friends travelling to Western Australia. Just a quick note to say thank you so very much for helping us with our accommodation booking in Denmark. I have forwarded the WA Holiday Guide info to all and sundry, as you made the process so very easy and hassle free. A huge thank you again!